If you've sustained an auto accident injury in Stuart, call Gloria Seidule as soon as possible. She works hard to get justice for you. Personal injury lawyer in Port St. Lucie can help you in every stage of your personal injury lawsuit claiming you the needed compensation. Don't know when to hire car accident attorneys? Read now, know the causes of auto accident and hire the right car accident attorneys in Port St. Lucie. You've been in an accident, but the bills keep coming and work still needs to get done. You need a personal injury attorney who cares as much about your case as you do, and you'll want to be a priority and not just a number. 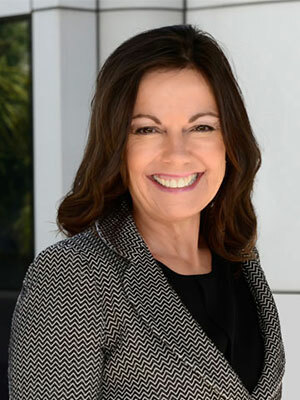 With 30 years experience fighting for justice on the Treasure Coast, Gloria Seidule brings the passion and skills necessary to win compensation for you. Teen drivers don't have as much driving experience as other drivers due to their age, making them prone mistakes or bad judgment calls on the road. You need to stay informed about the latest Florida laws regarding auto accidents. Learn more about auto accident laws from personal injury lawyers in Stuart. There has been an uptake in cell phone related auto accidents in Port St. Lucie as of late. Learn how personal injury attorneys can help you. Medical malpractice law is complicated. Learn what you should and shouldn't do before contacting a medical malpractice attorney in Port St. Lucie. Distracted driving is an increasing epidemic that is resulting in more and more road accidents every year. Find out why this is a concern for personal injury law firms in Stuart. How Soon After your Auto Accident in Stuart Should you Contact Personal Injury Attorneys? You should never delay contacting a personal injury lawyer in Stuart after an auto accident. Learn how a personal injury attorney can help you.